Home / Reiki Benefits / Are there any other Reiki Benefits? The first and probably the most important Reiki benefit would be the benefits experienced after self-healing. When you complete Reiki Level 1, you are required to go through a period of 21 days of self-healing. As you need to heal yourself, before you can attempt to heal others. One could nearly compare this to “clearing out your closet” as you tend to release a lot of old (stagnant) emotions and pain. This is both a very spiritual and invigorating experience. Another one of the lesser mentioned or even less obvious Reiki benefits would be the fact that Reiki teaches you how to meditate and find peace and harmony in sometimes chaotic circumstances. Reiki teaches you how to find balance in every circumstance of your life. 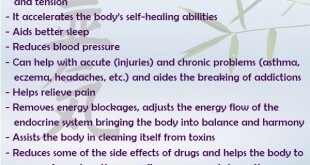 Another of these Reiki benefits would be the fact that Reiki teaches you how to practice self-control. This is due to the five precepts, which you would learn about in Reiki Level 1. 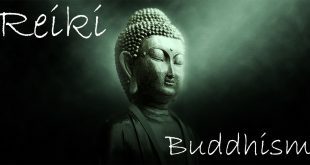 These precepts are basic principles which a Reiki student or Reiki Master should live by each day and ultimately teaches one how to deal with life and to live as the best possible version of “you.” This is pretty much where the self-control comes in, as the first precept is “do not anger.” Reiki further teaches you to do regular self-healing, which also offers its own set of additional Reiki benefits, such as strengthening your ability to channel Reiki energy. Another Reiki benefit would be meditation, which is probably one of the most important Reiki benefits, as many people are unable to meditate. Most people find it extremely challenging or difficult to “switch off” and Reiki teaches you exactly how to do this. It may take some practice, but the more you practice the easier it becomes and because Reiki has such a relaxing effect on the body, mind and emotions, you will be able to master this in no time. Another Reiki benefit which you may not hear about all too often, unless you personally know a Reiki Practitioner, is the “art of manifestation”. This is a technique which was introduced by the Western Usui/Tibetan Reiki Practitioners and is a very useful and effective technique to manifest things that you want or need. It is important to remember though that manifestation works in line with the universal laws of “co-creation” and “the greater good”. When practicing Reiki it is vitally important to remember that you need to do regular self-healing, as you are in constant contact with the energy of others. You should also remember that although you may wish to help others, you too require healing at regular intervals. Thus, in short, Healers also require healing. This will not only cleanse your energy, but it will also enhance your ability to channel Reiki energy. Also remember that practice makes perfect. When we meditate, we are ultimately centring and grounding our energy. This is especially important when you plan on completing your Reiki Master Level and you wish to open your own Practice or you intend on teaching Reiki to others. To meditate is to find quiet within oneself and to achieve a focused state. In order to connect to the healing energy, you need to achieve an inner state of balance, without any scattered thoughts. 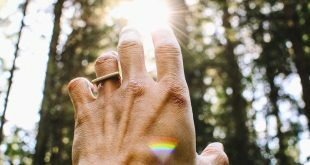 Whether you are planning on performing a self-healing or doing a Reiki treatment for a Client, you need to ground your energy and bring yourself to the “here-and-now” in order that you may connect with the earth’s energies. Meditation revolves a lot around breathing and visualization. The most effective meditation would be one in which you would visualize yourself in a place where you are at your happiest and you feel at peace, such as the ocean, to use one example. But this can be any place, this entirely depends on you. There are no rules, just as long as you formulate your own effective meditation. The first and most important thing to remember about manifestation, is that number one on your list always has to be “perfect health”. Many people do not feel that they are “worthy” of manifestation or some may experience feelings of guilt about manifestation. But think about from a different perspective. The more you receive, the more you are able to give to others. The idea is not to manifest becoming a millionaire, but once again, the more you receive, the more you are able to help others. If your intentions are pure and you always consider the universal laws of “co-creation” and “the greater good”, you will be fine. Previous What is a Reiki Attunement?